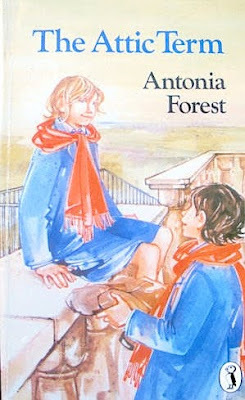 Every dealer knows to look out for early editions of the girls school stories penned by Elinor Brent-Dyer, Angela Brazil and their like, which all have their fanatical collectors, but one of the most sought after writers of teenage fiction for the past two decades or so must be Antonia Forest, who because her books have only very recently been reissued in paperback after years of neglect, are avidly sought after in second hand state, either in bookshops or on the Net. For it would appear that for the most dedicated fan a pristine but charmless paperback reissue of a favourite title has little attraction when compared with a first, however battered and library-stamped the copy. It seems that for a growing band of collectors condition doesn’t matter too much. Forest has admirers all over the English speaking world among all those who relish intelligent fiction for the teenage market. Moreover, academics have now joined the throng. In 2006 a high-powered symposium was held in Bournemouth—where the author lived from 1938 until her death in 2003—and doubtless papers exploring the many aspects of her oeuvre were delivered by more than one serious–looking cove from a Mid-West Liberal Arts college. 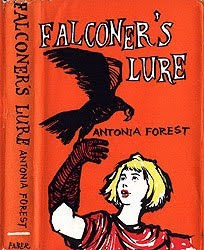 One of the organisers behind the symposium was Forest uberfan Sue Sims, who after years of fighting to get her books in the shops again, must have been exultant when a tiny publisher, Girls Gone By Books, began to reissue several of the titles in 2003. Getting Forest back on the library shelves could possibly take a little longer. A request for any book by her is still greeted in my local libraries with a frown of puzzlement. I myself had never heard of Forest –not so surprising considering my status as a middle-aged bloke—until having bought at auction the play-scripts, war diaries and miscellaneous papers of one Harold Rubinstein, I found among them an autograph album dated 1924 of his daughter, a Miss Patricia Rubinstein. Through Google I discovered that not only did the junior celeb hunter grow up to become a famous children’s writer, but that Enid Blyton she most definitely was not. I also found out that so closely did the author guard her privacy that few, if any, of her devoted readership ever suspect that the name she used was not the one she was born with. The truth emerged at her death. Rubinstein was, it transpired, born in 1915, the daughter of Russian Jewish and Irish immigrants , and brought up in bourgeois affluence in South Hampstead, where she attended South Hampstead Girl’s School. Here she was a keen sportswoman, while at home her amateur dramatist and verse-writing father, regularly treated her to theatre trips, fostering a strong interest in English history and drama that never left her. At London University she studied journalism with a view to writing full time. 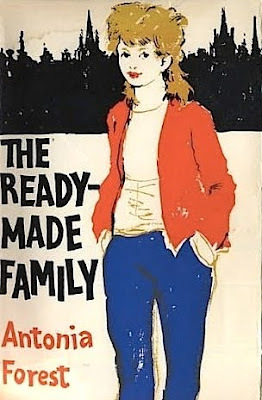 Her first book, Autumn Term ( 1948 ) was published in the hope that its success would enable her to forge a reputation as a serious novelist, but so well was it received that she decided to continue writing for teenagers. In all she published 13 between 1948 and 1982. Four are school stories centred on the Marlow twins and their fellow pupils at the independent Kingscote School, and six are home stories also featuring the Marlows. Forest also wrote historical novels. All the books are well-written and distinctively intelligent in their handling of the teenage psyche. Part of their appeal, one suspects, is that unlike the many public school stories that trade on the vicarious relish of grammar school products like myself for the values of a vanished race of upper or upper middle class toffs, Forest writes about the progeny of a meritocratic, educated middle-class. Her father was, after all, a cultured member of the bourgeoisie and his values seem to have been inherited by his daughter. 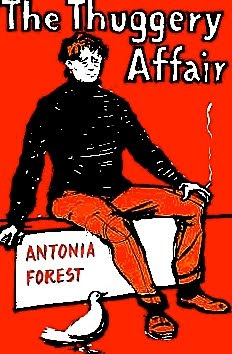 It is also significant, I think that Forest converted to Catholicism at the onset of her career and for the remainder of her life embraced the conservatism that characterises many converts. When asked to describe herself she replied with passion. ‘Middle-class, narrow-minded, anti-progressive, and PROUD OF IT ‘. 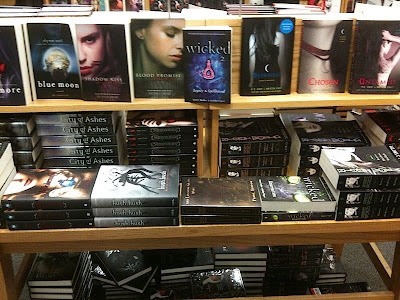 Reminds me of the days when there still was a "horror" section in most bookshops. It usually consisted of every single Stephen King book in print. Talking of Enid Blyton, i am glad to inform you that i have published a book on the writer, titled, The Famous Five: A Personal Anecdotage (www.bbotw.com, www.amazon.com). Great Book mate. Btw I bought a car from 3 Three Keys Norwich -- terrible people terrible car nobody in Norfolk or even Essex where I come from should do business with them.